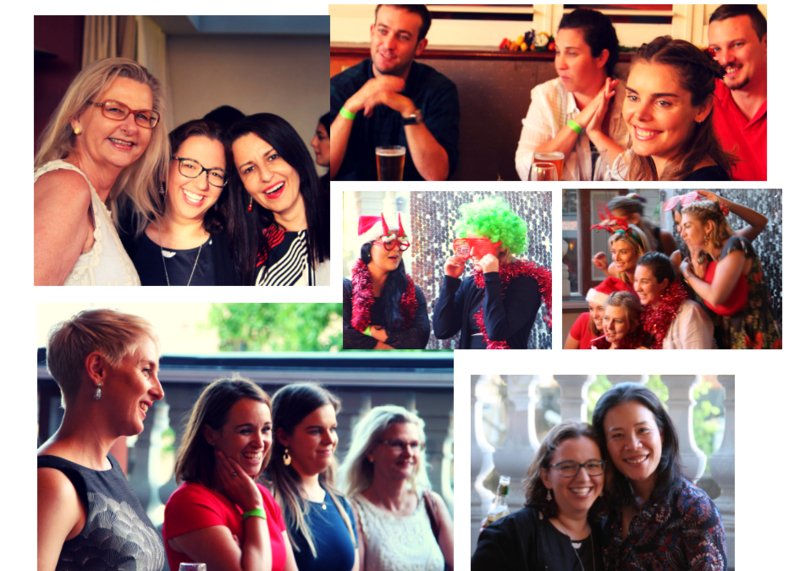 Friday 7 December 2018 saw many of us enjoying the Women in Stata End of Year Celebration at the Royal Exhibition Hotel, Surry Hills. The support for our chosen charity, Share the Dignity, was phenomenal. Your generous gifts and donations to Share the Dignity will this week be on their way to central QLD to health care clinics in rural townships. There are many yellow and purple ribbons, for teenagers and new mums, and just an abundance of care in these bags. Thank you, everyone, who contributed a bag in the evening. These bags will bring so much joy to a woman or teenager in need. It’s been an amazingly full year for WiS.
We started the year by celebrating International Women’s Day with SCA (NSW) – an event so popular that two sessions were needed. Amanda shared the business case for being ‘unapologetically you’ – demonstrating how being genuine in your personal brand will attract the clients and customers that are right for you. In May we gathered at The Winery where we indulged in vibrant cocktails while sharing the details of the proposed new licensing laws for property and strata managers. Sasha Boe of Real Estate Training Solutions provided essential tips for staying in front of the change while making them work for both individuals and businesses. ‘On Tuesday 17 October we held our fashion event at Scotch & Soda’s city store which was a wonderful evening of nibbles, bubbles & fashion! Thank you to the ladies who attended the evening – we hope you enjoyed it as much as we did! In November you joined us for breakfast at Macquarie Bank where we launched 2019, fully supported Women in Strata mentoring program. Just last week we received the final version of the program booklet from professional mentoring partner Mentor Central. What else can I say but WOW? This program is something special. The steering committee is currently wading through applications from both mentors and mentees. Because we know it’s a busy time of year (and, we confess, this blog is a little late in coming to your inbox), we’ve decided to extend the closing date for applications to 5 pm this Friday 21 December 2018. Just a few days left to get your application in if you want to be part of our fully supporting 2019 mentoring program. Click here to fill in our short form which will get your application underway. At November’s breakfast event, we happily announced that Christine Ashfield-Howell, strata manager of NetStrata, is the newest member of our Women in Strata steering committee. We are thrilled to have Christine on board and know that she brings to the table a wealth of strata management experience and a passion for advancing our cause. Look out 2019, here we come. Wishing everyone a restful, happy festive season, from all of your supporters at Women in Strata.